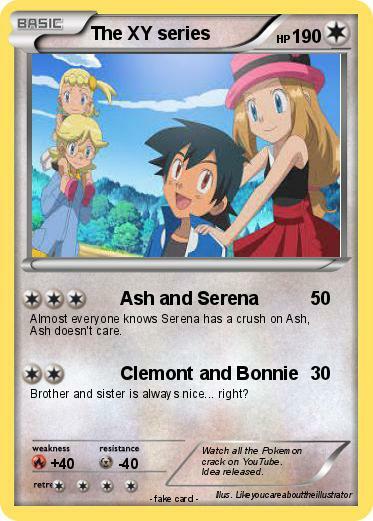 Almost everyone knows Serena has a crush on Ash, Ash doesn't care. Brother and sister is always nice... right? Comments : Watch all the Pokemon crack on YouTube. Idea released.